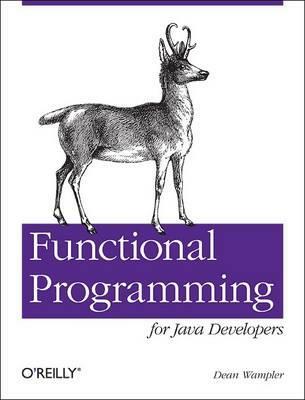 Probably all of us forget functional programming in the name of object oriented one. As concurrency and scalability are two buzzwords mentioned these days in every technical acrticle the functional programming notion seems to growing. The book Functional Programming for Java Developers: Tools for Better Concurrency, Abstraction, and Agility is brief introduction why and how could developer or architect think about development, especialy in the scope of reusable components. The couple of chapters at the beggining show how functional programming approach can improve thinking of every programmer. Special attention is put on objects immutability or functional recursion. Next chapters present the example how to write immutable list and maps, how to write useful methods operating above the list using recursion and how to use these methods for everything what you can want from the structure. Well, I read the book twice. The impact was immediate since I was writting a component based on tree structure. As soon as you realize the immutability is better than classic locking-aware approach you start asking how to achieve such pleasat property on objects requiring mutability by nature. It requires the change of mind. This book can help you a lot.